Connie's Pizza is a classic in Chicago. The first time I tried it was at Wrigley Field when they were supplying pizza to the ballpark (they're no longer serving at Wrigley, but you can now find their pizza at United Center, Allstate Arena and McCormick Place). Wrigley Field was the only place I had enjoyed Connie's Pizza until I set out on a foodie field trip on the south side one day and made Connie's one of the stops. Other than trips to see the White Sox play - or to park outside the ball park to hop on the red line - I really hadn't spent any time in Bridgeport. I'm quickly learning that it's a great foodie neighborhood that doesn't get quite as much love as it deserves. Loved the building, which appears older than it really is - and that's by design. It's meant to give the feel of an early industrial building of the city. I was told by staff that Jim Stole traded in a beloved Oldsmobile in 1963 to get the business started and the current location on Archer Avenue was built in 1985. Connie's has become known for their deep dish pizza, but the menu includes much more - thin, original pan, stuffed, Sicilian pan and gluten free as far - as pizza goes. Most versions are available in small single person 7" pizarella sizes, too, which is nice. 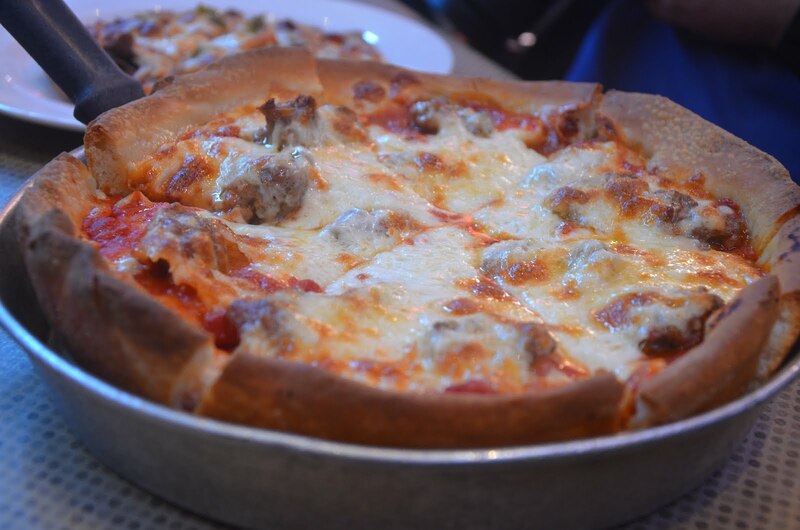 The one above is a pizzarella-size of a traditional Italian sausage deep dish. It's by far one of the best pizzas I've had (and I've had a lot of pizza) and it's easy to see why Connie's is a Chicago favorite. 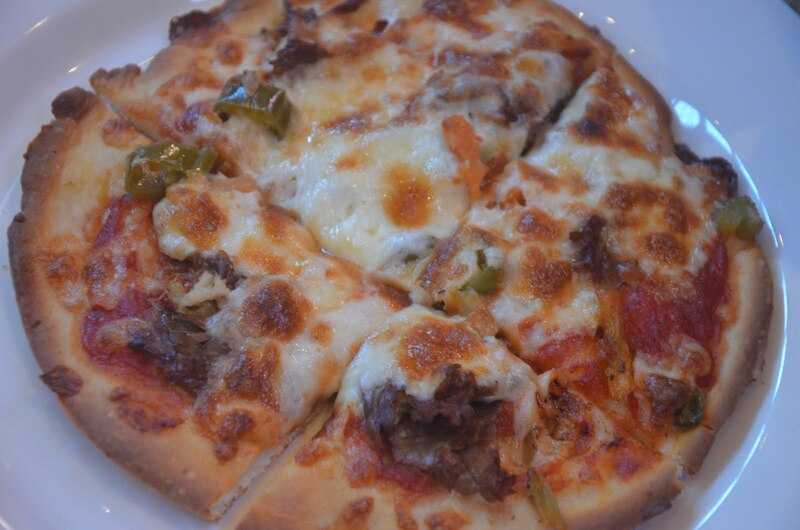 I also had to try out the thin crust, so we ordered a thin specialty pizza - the Italian Beef and Giardiniera. If you think that combo is good on a sandwich, try it on a pizza. 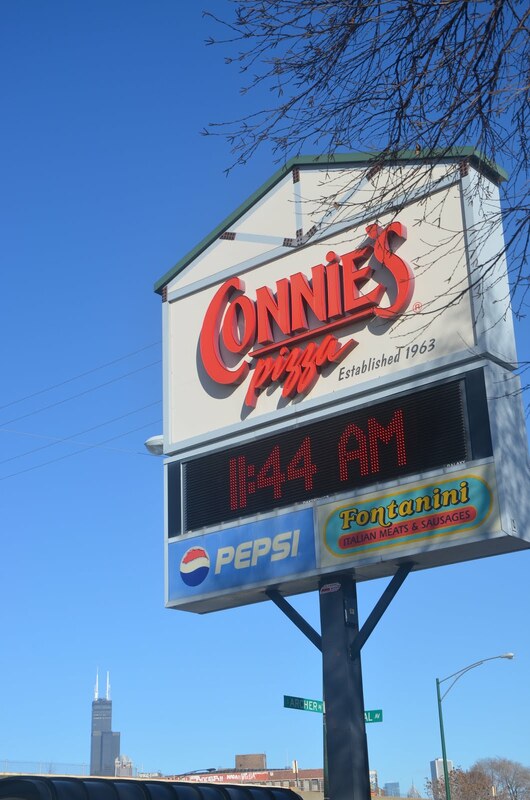 If you are craving some good pizza - thin or thicker - Connie's will definitely make you happy. But...I just need to stress that sometimes you need to get outside the pizza box and try other things on the menu, as well. 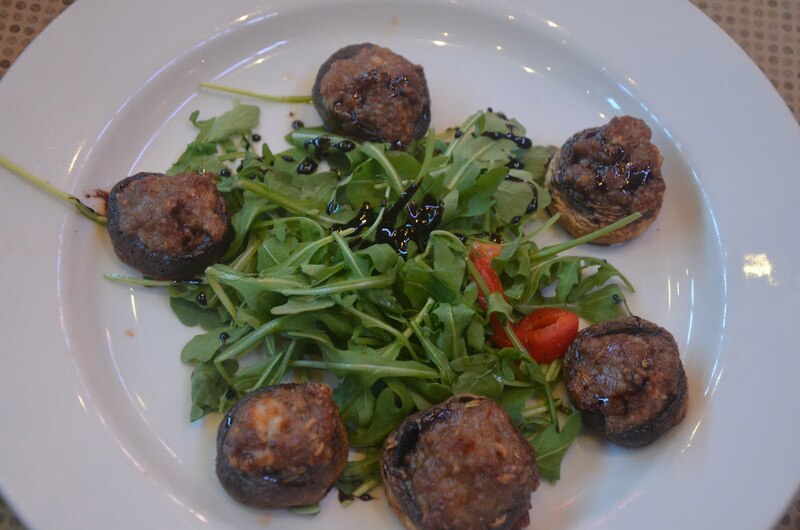 They've got some wonderful specials, like these sausage stuffed mushrooms that were drizzled with a really good balsamic. 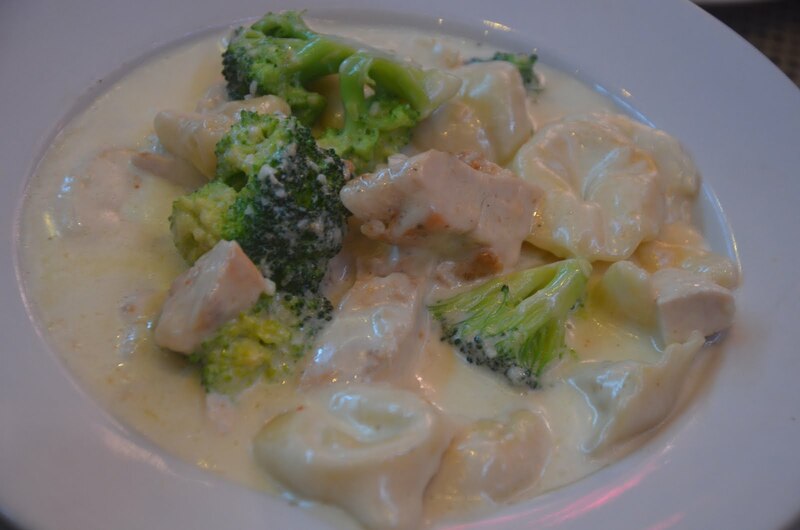 I also decided I would try some pasta, so I ordered their signature dish - Tortelinni alla Connie's. That alfredo sauce was pretty amazing. Like I wanted to lick the bowl when I was done amazing. So, if you've been there and stuck to the pizza - give this pasta a try. You will not be disappointed. 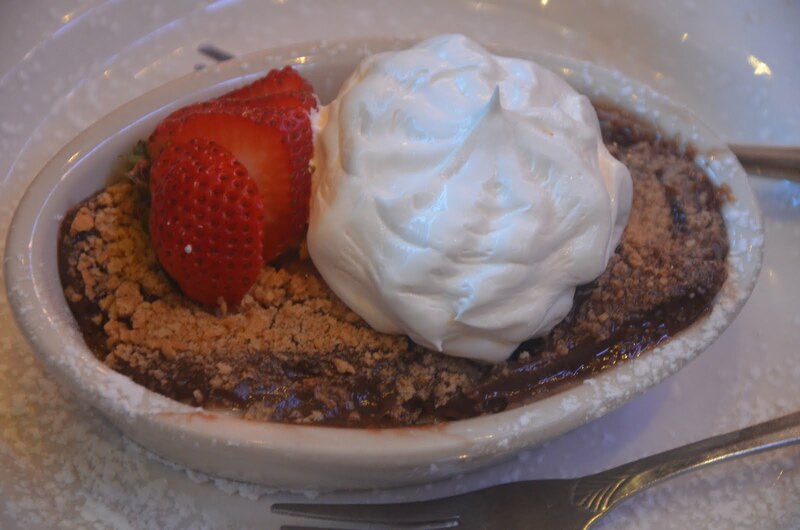 I finished off with the Ice Box Cake - you can't go wrong with layers of chocolate pudding, vanilla pudding, bananas, graham crackers and whipped cream. 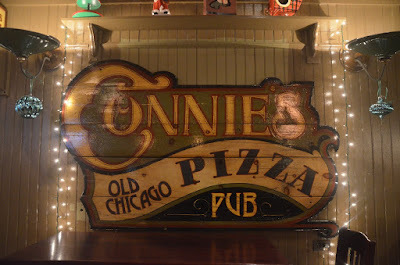 So, whether you want some good old Chicago deep dish, a sandwich, pasta or other Italian specialties, Connie's is definitely worth the trip. ***I did receive a complimentary meal for the purpose of a review. I was not compensated for this post. All opinions are my own.